Aloha from Hawaii! 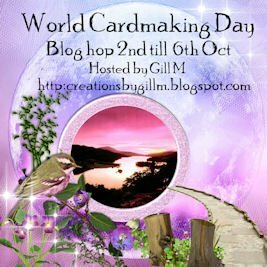 Welcome to the World Cardmaking Day Blog Hop hosted by Gill at http://creationsbygillm.blogspot.com/ . I am stop number 2 on today's hop, so you should have just came from Gill's blog and viewed her beautiful creations there. 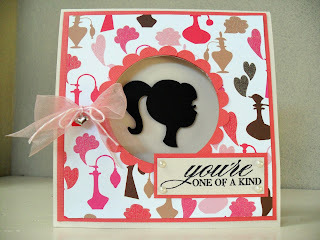 Today, I am sharing a 6 x 6 card I made with a girly theme. 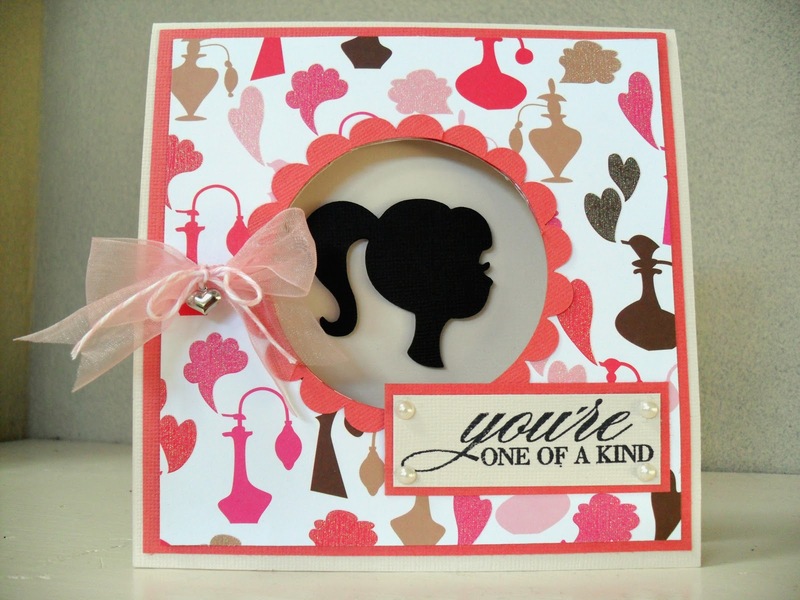 I used patterned paper by American Crafts which I thought was so perfect for a girly card. I cut out a cameo silhouette using MTC and a file from Kate's Silhouettes over at svgcuts.com. You can't tell by the picture, but I actually cut two cuts of the cameo and then pop-dotted one on the other to add dimension. I added some sheer pink ribbon, twine, and a heart charm. The sentiment is by Hero Arts. Before hopping on to your next stop, please remember that there is blog candy to be had! For a chance to win, each day, leave comments on ALL the blogs in the hop. You need to comment to be eligible to win the prizes, divided up into a top 3. The winner will be announced by Gill later in the week, after the hop closes. More details are at Gill's blog. Thanks for stopping by! When you're ready, please hop over to Linda's blog. A complete list of the blogs in today's hop is listed below. Fab card Dena love the silhouette! Love your card, it's awesome. ah, very cute card...would be perfect for a tween I think. Aloha Dena - WOW what a fabby card - many thanks for stepping in at the last minute with this hop its great to be hopping with you. Hi Dena, beautiful card and I love the sentiment. This blog hop is so much fun. I really love the shaddow profile girl--reminds me of some biography books my school library had when I was a kid, they each had the shaddow profile of the famous person they told about on the cover. Thanks for being in the blog hop! Love the card Dena! Pink and Black go so well together! I just love how you did this card, the cameo is just great. Sweet Card. TFS. Jearise in Lorby's World. Dena, What a great card the papers you picked where just perfect! I love the double bow and bell detail, the pattern paper is so girlie. Thanks for sharing.